Puente Romano Beach Resort and Spa brings you the best tennis of all time! 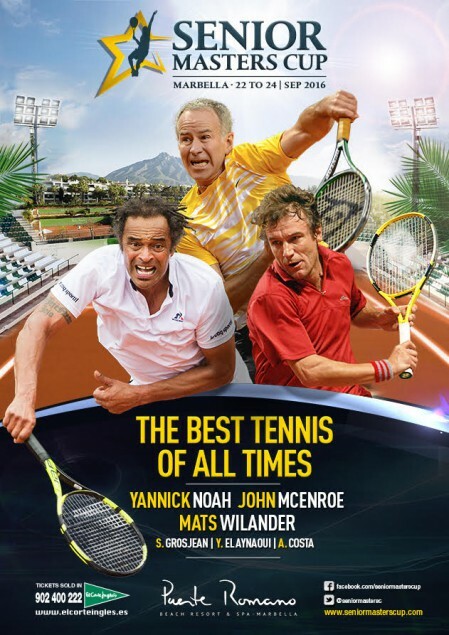 The American John McEnroe, the Frenchman Yannick Noah, and the Swedish player Mats Wilander will all be the biggest stars of the Senior Masters Cup, which will take place on September 22-24, 2016, at the Puente Romano Tennis Club, in the heart of Spain's most glamorous Golden Mile Town, Marbella. Albert Costa, Sebastian Grosjean, and Younes Al Aynaoui will also be joining! You can buy your ticket to enjoy the Senior Masters Cup. Click on the link and buy the event is sold out!